Xsitepro and Shopping Cart were two words that were difficult to use in the same sentence. Simply because there wasn’t a lot of information about how to add a shopping cart to xsitepro. Well….now you can watch a video that explains how to use Xsitepro and a Shopping Cart. This is good stuff and answers the questions regarding ecommerce and Xsitepro! Integrate a Shopping Cart into Xsitepro for a quick ecommerce website. In less than 10 minutes this video tutorial will show you how incredibly easy it is to create a fully e-commerce enabled website in XSitePro, complete with shopping cart page and payment processing. Very cool! And if you are an XSitePro Club member (you need to buy a copy of Xsitepro), you can see an extended version that goes into a lot more depth about exactly how to set things up. I have used the table function in Xsitepro version 1, but the new version of xsitepro…. version 2 has really blossomed into tool that let’s you really create and decorate your tables. You can created dotted borders, multi cells…in general the formatting has 100 times the options in the new version of xsitepro. Xsitepro Version 2.0 has some great features for working with tables. The ability to enhance and customize a table has been greatly enabled in Xsitepro version 2. Tables have long been the most popular way to design a website. 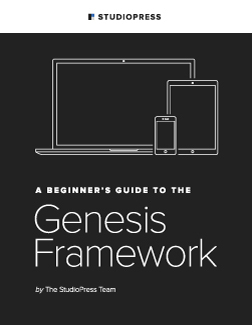 Although those that command the web would like to see everyone using CSS, it still remains that working with tables is easiest and a great way to put together a quick website ranging from a simple salespage style to more complex forms of websites. Xsitepro allows you to easily add or customize your site with css and I suggest you learn how to use it. The reason is because that is the direction webdesign is headed and it is most compatible with just about all the popular browsers. Websites load faster when using css, and I’ve been told that they are easier on the search engines. Still for the newbie creating a webpage with tables is the simplest way to get started and organize a webpage. For instance you can draw out your webpage on a legal pad and visualize the page as a series or boxes or tables. It becomes easy to take your concept to webpage design. I found a couple of videos that will help you understand the concept of tables and Xsitepro version 2.0, please check them out. Great table videos…. don’t ya think! Someone asked me how to do a redirect or how to cloak links. The entire subject can get quite complex but bottom line is that you want to disguise your link and/or control your links…..mostly in the case of affiliate links. I also had the question from an Xsitepro user, and I didn’t think that xsitepro could or would control redirects. Turns out I was wrong, Xsitepro definitely has the capability to form, manage and create redirects. 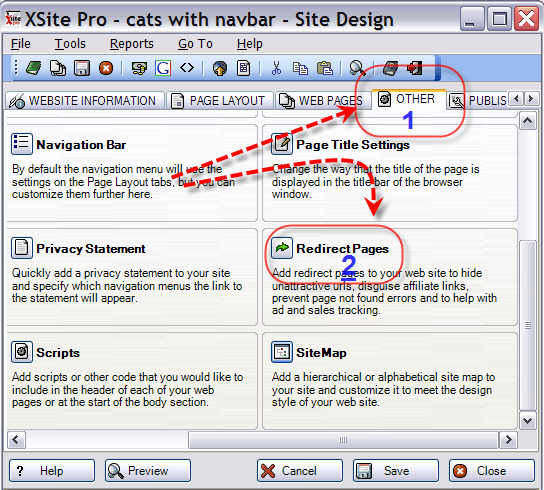 I outlined the process below that shows how to make redirect links with xsitepro. When you join someone else’s affiliate scheme you will usually be given a url that you must use when linking to that site. The reason for this is so that any traffic you send can be monitored so that, in the event of a sale, you can be paid your agreed commission. Unfortunately, many affiliate urls can be both unattractive and look quite obviously like affiliate links, which can be off putting to some people. All of the above are unattractive and not the kind of web address you’d want to use or promote by choice. From a psychological perspective web visitors immediately form an opinion, often incorrectly so, when they notice a link is an affiliate link. They might think you are only recommending this site because you are getting paid some money. This might be true, but on many occasions you will be recommending a product that you really like and that you’d be happy to recommend for free – if there’s a chance to earn a commission for making the recommendation should you turn that down just because some of your visitors might form the wrong impression. To solve the ugly url problem and to display a link that won’t be as immediately apparent as an affiliate link you can use redirect pages. Here’s how you might set up a redirect page for an affiliate link to the big-cars-go-faster.com web site to replace the long url listed above. 1. Click on the Redirect Pages button that is found on the Other tab. 2. Click on the button. 3. In the Page Name type something such as cars. For more advanced link cloaking and redirection check out Phantom Link Cloaker.…you’ll find a total solution for cloaking and redirecting your links.